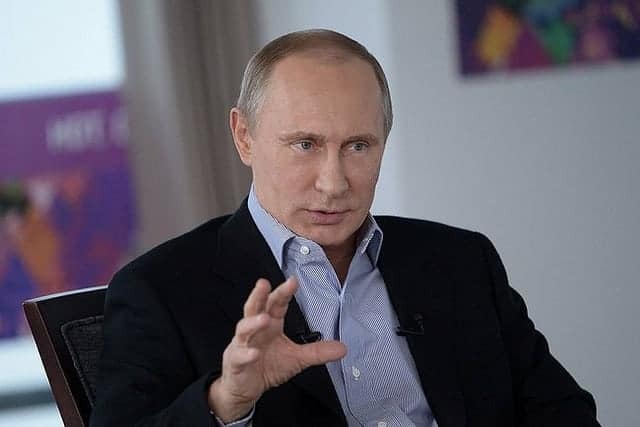 The Russian Defense Ministry announced this week that it has tested a slew of newly developed nuclear weapons, fulfilling a pledge made by President Vladimir Putin in March that Russia is updating its arsenal, The Moscow Times reported. The news comes just days after Putin attended a private summit with U.S. President Donald Trump in Helsinki, Finland. “New strategic armaments systems are developed to enhance defense capacity of Russia, prevent any aggression against this country and its allies,” the Ministry said in a statement on Facebook. The new weapons include a ” Peresvet high-powered laser weapons system” and a cruise missile which the Russian government boasts has an “unlimited range,” according to the Russian news agency Tass. The hypersonic Kinzhal missiles have a range of 1,800 miles and are “invincible to all the existing and advanced air and missile defense systems,” Russian officials said. “All the measures that have been carried out allow for making a clear conclusion that the Sarmat missile system will be created and placed on combat duty within the scheduled timeframe,” the Ministry added. “As its main advantage, the Poseidon is actually 100% invulnerable to enemy counter-measures. The drone’s unique capabilities will enable the Russian Navy to fight carrier-led and surface action groups of a potential enemy in any areas of the oceanic theater of operations and strike coastal infrastructure facilities at an intercontinental distance,” the ministry said. Both Trump and Putin have said they discussed the future of nuclear treaties between the United States and Russia, though the specifics of their conversation remain known only to them. Translators were the only other people permitted to attend their one-on-one meeting on Monday. On Monday, Putin said he told Trump Russia is committed to extending the New START treaty which is set to expire in 2021.